Have you been awakened by a creepy crawler racing across your bed? Do bugs constantly show up in your kitchen where you prepare food for the family? Simply put, bugs are not a popular visitor in the homes of Americans. Before you hop in the car and head over to your local home improvement store to pick up some bug removal chemicals, think about what you are putting in your home. 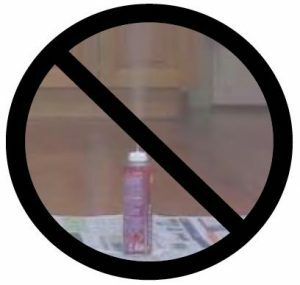 Most of these bug removal applications have chemicals that are harmful to children, as well as pets. An organic alternative that will get these bugs out of your home for good is to partner with our team at EcoTech. We are a bug extermination company in Minneapolis that focuses on removing bugs from your property without harming anyone else along the way. At EcoTech, we have built a bug extermination team centered around experience. Together, our team has more than 50 years of combined extermination experience. We’ve successfully exterminated just about any type of bug that has made Minneapolis their home for a particular time. Our local team knows the habits of these bugs and where to look when inspecting your property. To top it off, we don’t lock our customers into an annual contract like so many of the other bug exterminators around Minneapolis do. At EcoTech, our extermination services are more than just simply removing these bugs from your property. We offer our clients the total package that can’t be matched by our competitors. Our work starts when you pick up the phone to request our services. From there, we’ll stop by and provide an extremely thorough inspection to find all of the unwanted bugs around your property. Next, we’ll use organic materials and exterminate these bugs without harming anyone else along the way. Our work doesn’t stop there! Once the bugs are exterminated, we apply preventative measures to make sure that these unwanted critters don’t invade your property again in the future. We’re so confident in our total extermination package that we offer a 4 year warranty on all of the services that we provide. Letting bugs continue to hang around your home is never a good idea. Not only can they carry unwanted bacteria, but they often multiply very quickly. If you are in need of bug extermination services in Minneapolis, don’t use those harmful chemicals that you find at the store. Instead, pick up the phone and partner with our team at EcoTech. Take advantage of our total extermination package today by calling (763) 785-1414.